Appoint us as your travel partner to get the best tour package at completive rates. 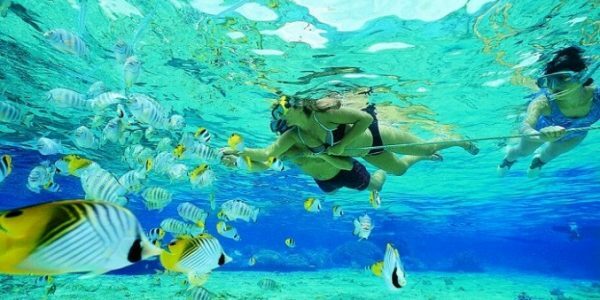 With years of experience and knowledge of the realm of tourism, we are providing budget and luxury tour packages that the functional and designed in concern with travelers’ requirements. Musandam Khasab is the capital of Musandam that is an incredibly breathtaking place in the Arabian Peninsula with amazing natural beauty. It offers so much for the tourists because of its versatile nature that makes it a pretty popular spot in the Middle East. This beautiful place is 2000 meters above the sea level and ends with Ru’us Al Jibal falling dramatically and dazzlingly into the sea. Musandam Khasab is one of the world’s most unique biospheres which make you visit them again. Musandam Khasab is often called the Norway of the Arabian Gulf because of the spectacular scenery of the Musandam Khasab and its fjords resemblance to Norway’s fjords. Pick-Up And Drop Services On Seat In Coach Basis. 7 Hours Cruising On A Traditional Omani Dhow. Visit Fjords, Swimming, Snorkeling, And Dolphin Watching. The Dhow Has Skilled Captain, Crews And Is Fully Equipped With Navigation Compass, Fire Extinguishers, Medical Box And Life Jackets. We provide finest arrangements and quick prompt services. 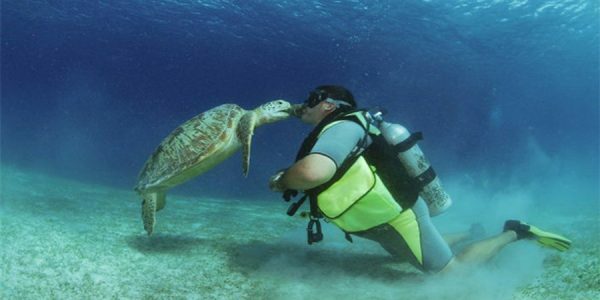 The trust tourists from all over the world have put in us is a testimony of our honest efforts towards them. The beautiful natural landscapes in Musandam Oman give you memories that will last a lifetime and make you want to come back again and again. 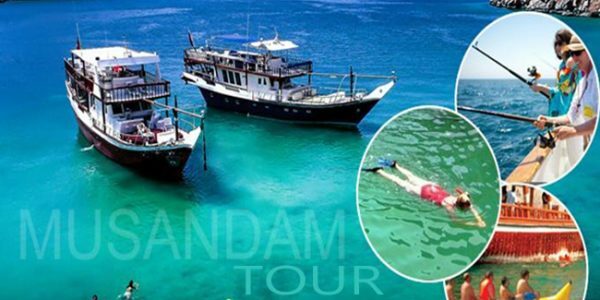 Our customized and affordable Musandam Khasab Tour Packages fulfill the requirements of every tourist. 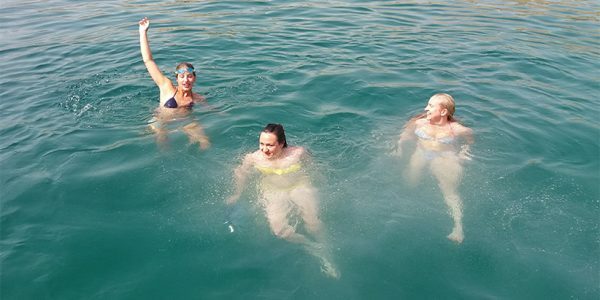 We invite you to have a great time with your friends and family in the astonishing Musandam region. Khasab is a city in an exclave of Oman. It is the local capital of the Musandam peninsula. Access to the area by land was virtually impossible until a modern coast road was built, which allows fast access from the United Arab Emirates, making Khasab a popular weekend destination for people living in the Emirates. A calm fishing village and oasis overlooks the Gulf of Oman and the Straits of Hormuz. 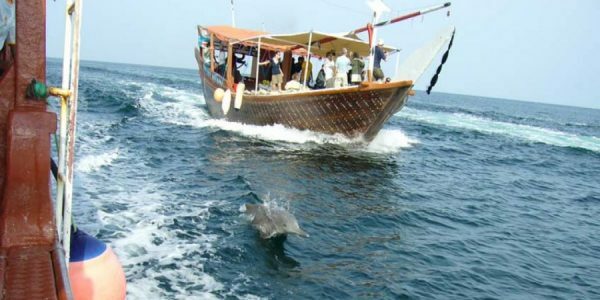 Enjoy into Musandam’s highest peak, the dramatic scenery of Musandam Mountains, watch the traditional life of the fishermen and the Beduin, and also share the early morning hustle and bustle of life in the fishing harbor. Also, visit the restored Portuguese fort of Khasab and the prehistoric rock carvings in the village of Qadah. 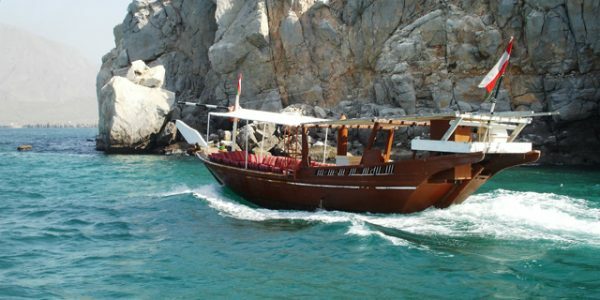 This will be an unforgettable day cruising along the “Fjords of Musandam”, board on our traditionally decorated Omani Dhow where you can sit comfortably on cushions and carpets while feasting your eyes on the striking scenery. 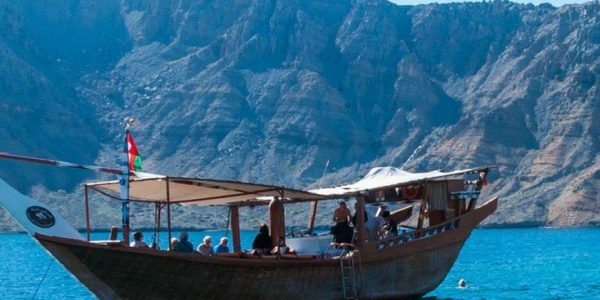 Dhow tour to Fjords offers a series of beautiful landscapes whereas cruising into the Straits of Hormuz, we will discover different villages through the majestic 16 km fjord (Khor). The dhow will anchor at various places including Telegraph Island where you can have the opportunity to swim and snorkel in the clear waters. Buffet lunch and refreshments will be served on board. Dhow Cruise seats are based on first come first serve basis so make sure you reach the destination first. Take care that you leave early as you get traffic on the way. 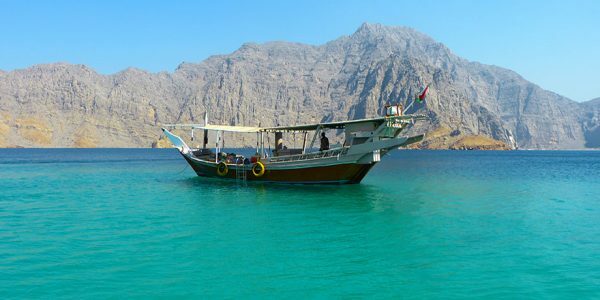 Musandam Khasab is a gift of nature located in the Arabian Gulf. Visitors from all over the world come here to see this extremely scenic region, its mesmerizing fjords. The eye-catching Hajar mountain ranges give your trip an additional thrill. The high peak mountains beside the sea end at Ruus Jibal falling into the sea. It’s truly an unforgettable trip that penetrates into your soul for the entire life due to the dazzling landscape of Musandam Khasab. This full-day trip is ideal for people of all age and tempts them to visit this panorama again and again. 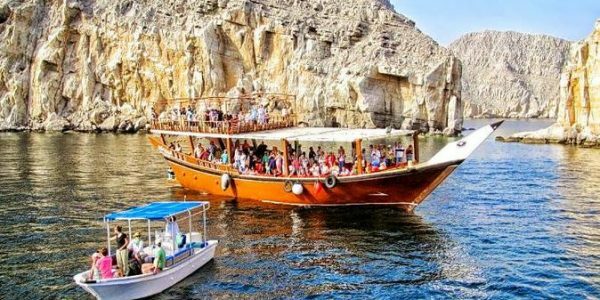 This high appealing Musandam Khasab tour is a wonderful escape to nature, and beauty of this territory makes it an irresistible location for tourists.